Alma the Younger was the son of the convert Alma (King Noah’s priest), and he rebelled against his father’s Christian teachings and sought to destroy the Church with King Mosiah’s four sons. 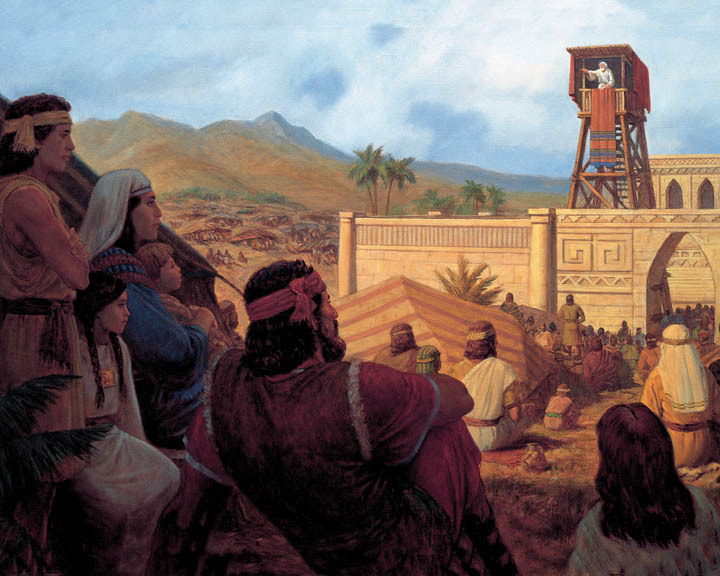 Alma lived in the city of Zarahemla, as recorded in The Book of Mormon, which contains the history of the Lamanites who battled the Nephites because of their Christian beliefs. 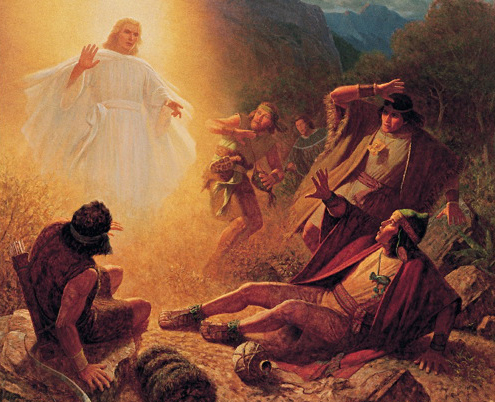 After his miraculous conversion, he became “the first chief judge over the Nephite nation”  and protected his people as God’s prophet. He condemned Nehor to death for murdering Gideon. He killed the enemy Lamanite named Amlici during battle. The Nephite leaders Zoram, Lehi, and Aha asked the prophet Alma for help when the enemy Lamanites took prisoners. 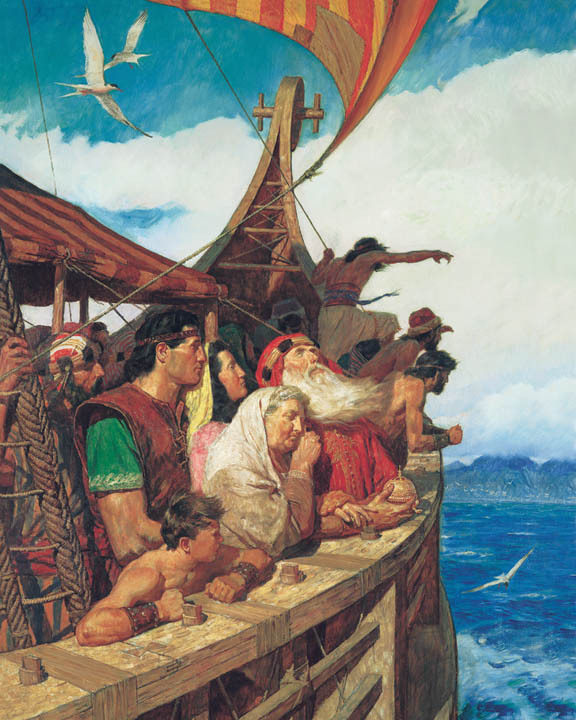 He prayed to the Lord for directions to find and rescue the Nephites. During his tenure as chief judge, over 3,500 people were baptized, but he gave up his position as chief judge in order to teach the gospel, during the 9th year of the reign of the judges in about 83 B.C. Alma called upon God in prayer to bless his people, and he also recorded many scriptural prophecies and doctrines of Christ. Alma was given charge of keeping record of his people, and his book has the most chapters compared to other books within The Book of Mormon. Alma wrote about the famous Nephite army leader Moroni and of the protection God gave His people during battles with the Lamanites. Alma prayed for his missionary companions to have success and rejoiced when he met up with his childhood friends after their 14 years of missionary service among the Lamanites. Alma was a wise father who taught his sons the gospel of Jesus Christ. He counseled his son Helaman to continue writing the scriptural records. He gave advice to his son Shiblon and reprimanded his son Corianton for his disobedience. Alma and his sons preached to the Zoramites (apostate Nephites led by Zoram). 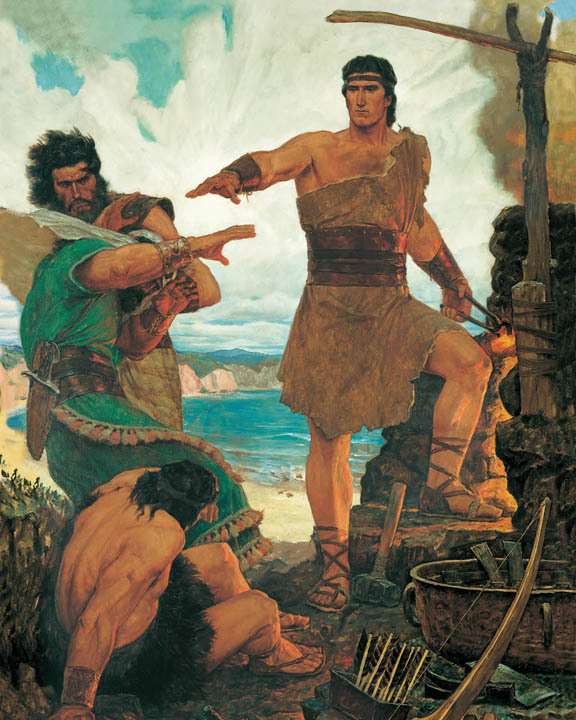 Those who converted joined the people of Ammon, the Anti-Nephi-Lehies. The wicked Zoramites joined with the Lamanites to start war. Beginning with chapter 45 of Alma, his son Helaman became “keeper of the record.” Alma the Younger, at an advanced age, and after years of endeavoring to build up the Church of Christ, disappeared, and nothing was known about his death or burial. The record supposes that God had taken Alma and he was “translated” (or taken up without tasting death) like Moses. Alma preached that to gain salvation men must repent and keep the commandments, be born again, and do the works of righteousness. He taught that Christ, the Good Shepherd, calls his people, and calls them by his name. Also, if a man does good works, he follows the voice of the Good Shepherd; if he does evil works, he follows the voice of the devil. He also taught that the names of the righteous shall be written in the book of life. … He told them that the coming of the Redeemer was not far away. The Redeemer would be born of Mary, a virgin, in Jerusalem. He would go forth, suffering pains and afflictions and temptations of every kind, taking upon himself death that he may loose the bands of death, and taking upon himself the infirmities of his people. People must repent and be baptized and be born again or they cannot inherit the kingdom of heaven. Filthiness cannot be received into the kingdom of God. If the people have humility, faith, hope, and charity, they will always abound in good works. … He explained… the mysteries of God can be given only to the faithful; men will be judged by their thoughts, beliefs, words and works, etc. He also discussed the plan of redemption and taught that this life is a probationary and preparatory state. Mercy comes through the Only Begotten Son. … Alma taught that men are called as high priests and ordained after the manner of the order of God, and that they are called and prepared from the foundation of the world according to the foreknowledge of God and because of their exceeding faith and good works. Others were on the same standing with their brethren, but they hardened their hearts and, therefore, were not called as high priests. Alma elaborated on the holy priesthood and the responsibility of high priests to teach the commandments. He referred to Melchizedek to whom Abraham paid tithes, and said there were others before and after him, but none greater than Melchizedek. He stressed that angels of the Lord were declaring glad tidings throughout all the face of the earth, even to the peoples who were scattered, and that “angels are declaring it unto many at this time in our land; and this is for the purpose of preparing the hearts of the children of men to receive his word at the time of his coming in his glory” . … Faith and knowledge are not the same. If you have knowledge, you do not need faith. Alma also taught that if a person has knowledge and falls away from the truth, his curse is greater than if he “only believeth, or only hath cause to believe, and falleth into transgression” . He compared the word unto a seed. Alma quoted Zenos and Zenock to illustrate that a person can pray and worship anywhere and that mercy is bestowed because of the Son. He also said that Moses had lifted up his staff in the wilderness so that those who looked on it would live. It was a type of the Son of God. … He prophesied that the people would dwindle in unbelief 400 years from the time Jesus Christ manifests himself unto the Nephites. There would be wars, pestilences, famines and bloodshed until the Nephites became extinct.